Happy Monday everyone! March has been quite a month for me - first my car had issues running and had to be fixed, then I was sick all last week. So I apologize for the lack of posts and reviews! Also, we are in the midst of selling our home, so it’s been quite a stressful and eventful month. I will have a book review up this Thursday so I appreciate you all hanging in there! Let’s get onto today’s post! 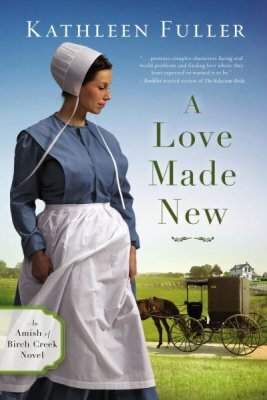 Today is all about newly released Amish Fiction. 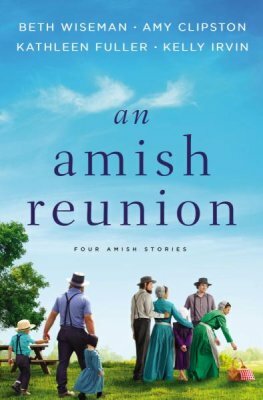 I love a good Amish Fiction book. They remind me to slow down and live more simply. They also remind me of family values and how important family is. Leisel Bachmann left her Amish roots and beloved sisters to pursue a career in medicine without a second thought. She has an Englisch boyfriend, Nick Jordan, and dreams of a new life--but those dreams come crashing down when her sister Marie is diagnosed with cancer. Soon nothing is going as she planned--not her state boards, not her first nursing job, and certainly not her relationship with Nick. As she becomes increasingly discouraged, her aunt shares the story of Leisel's grandfather during World War II and the struggle he faced between returning to Lancaster or being with the woman he loved. Peace and a vision for the future are difficult to find, and when Nick leaves Pennsylvania for a completely new life, Leisel is faced with impossible choices. Will she stay in Lancaster, close to her family and the traditions of her past? Or learn from her grandfather's story and embrace a life of love and service in an uncertain future? Isaac Mast is on the verge of leaving the Amish church. He’s become a sought-after auctioneer and has a thriving business, but he feels confined by the strict rules. When his brother is severely injured in a wild fire, Isaac receives a letter from his sister-in-law, begging him to come to Mackinac County to help out while his brother is hospitalized. Isaac agrees but is unsure how to manage their young children when he has weekend auctions he’s expected to attend. Agnes may be the answer to a prayer. Sparks fly when she and Isaac meet. But could their differences help them form a deeper connection to their faith...and each other? It seems as if everyone is falling in love in Birch Creek, including Abigail Schrock. But when heartbreak descends on her already fragile world, she can’t help but feel that if she’d only been a little prettier, she could be on her way down the aisle. To make matters worse, Abigail’s two sisters have found love, and all Abigail can seem to find is the chocolate she has stashed away in the pantry. Asa Bontrager has never had trouble with the ladies in his Amish community—his good looks have always gotten him far. Which is why he’s baffled by the call he’s received from God to pursue Abigail, a woman who seems determined to turn him away. Can Abigail find the peace and joy she so desperately desires? Will she allow herself to stop running and melt into the embrace of unforeseen comfort? If she does, she may discover a love powerful enough to restore her hope in a promising future. One minute, Joanna Schrock was arguing with her parents, and the next, her parents’ lives were claimed in a hit-and-run buggy accident. Her body is broken, but her heart is in even deeper pain— after all, how do you cope with your parents’ deaths when your last words were spoken in anger? 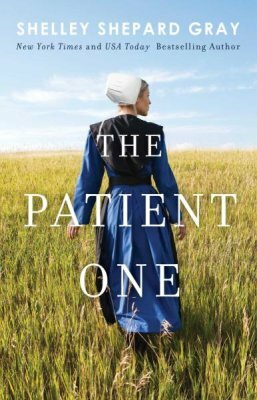 After an extended stint in a physical rehabilitation center, Joanna re-enters her Amish life. But nothing is the same—not even her feelings for Andrew Beiler. Joanna hears God whispering to her, Be strong and courageous, but she’s afraid that courage looks a lot like walking away from her dreams and into the plan of her Heavenly Father. If Joanna takes the first step toward healing, will it cost her everything she’s ever wanted? Or could God be changing the desires of her heart? Musical prodigy Levi Shetler hasn’t touched a piano since he secretly played one years ago. His strict Amish community forbids instruments or the singing of any music not in their approved songbook. Levi asks God often why music tempts him when playing an instrument isn’t allowed in his world. One person knows Levi’s talents: Mary Hershberger, the girl who promised years ago to keep his secret. Mary comes from a more liberal district than Levi, but she’s facing family troubles of her own. The mutual care for an aging Englischer, Adeline, reunites Mary and Levi as young adults. They realize that, despite their differences, they have a shared love of music—and a shared confusion about whether their talents are God-given gifts or temptations luring them into the Englisch world. The couple realizes they must compromise or part ways, but a tragic accident shakes their decision. Both Mary and Levi will need to reconcile what they love with what their hearts say is right—because even as their passion for music brings them together, it could be what tears them apart. Luke Schrock is a new and improved man after a stint in rehab, though everyone in Stoney Ridge only remembers the old Luke. They might have forgiven him, but nobody trusts him. Amos and Fern Lapp allow Luke to live at Windmill Farm under two conditions. First, Luke must make a sincere apology to each person he's hurt--a four-page, single-spaced list. Second, he must ask each victim of mischief to describe the damage he caused. Simple, Luke thinks. Offering apologies is easy. But discovering the lasting effects his careless actions have caused . . . that isn't so simple. It's gut-wrenching. And his list keeps growing. Izzy Miranda, beautiful and frustratingly aloof, also boards at Windmill Farm. Luke's clumsy efforts to befriend Izzy only insult and annoy her. Eager to impress, Luke sets out to prove himself to her by locating her mother. When he does, her identity sends shock waves through Stoney Ridge. 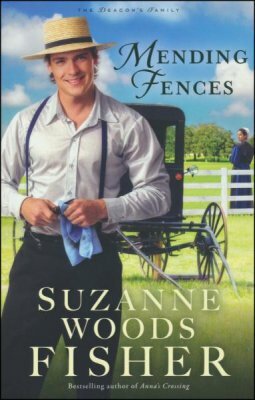 Bestselling and award-winning author Suzanne Woods Fisher returns to her beloved Stoney Ridge for this brand-new series featuring some of her readers' favorite characters. When word had gotten out that Andy Warner had committed suicide, everyone in Walnut Creek, Ohio, had been shocked. 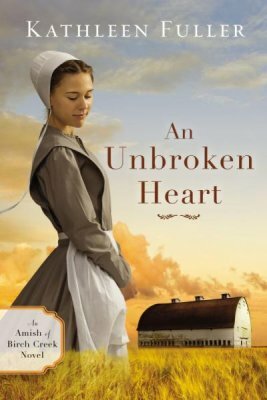 For seven men and women in their twenties, some Amish, some Mennonite, and some English, each of whom had once counted his or herself as one of Andy’s best friends, it had been extremely painful. And, maybe, a source of guilt. Years have passed since they’d all been together last. Some of them got into trouble. A couple got into arguments. Eventually they all drifted apart. But even though none of them really saw each other anymore, there was a steadfast certainty that they’d always have each other’s backs—even when no one else did. Their bond was that strong…until Andy did the unthinkable. Now the seven remaining friends, still reeling from Andy’s death, have vowed to look after each other again. As far as they’re concerned, it doesn’t matter that they’re now in their twenties and have drifted far apart. They need to connect again…for Andy. 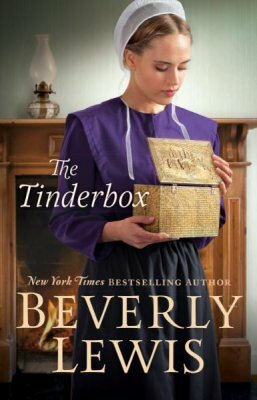 With her Amish parents' twentieth anniversary approaching, eighteen-year-old Sylvia Miller stumbles across a surprise--the old brass tinderbox her clockmaker father keeps in his Lancaster County shop has been left unlocked. Against her better judgment, Sylvia opens the cherished heirloom, not realizing that what she is about to discover will splinter apart her happy life. Sylvia's bewilderment grows when her father confronts her about snooping in the box. To her amazement, the respected convert to the Old Order reacts as if he has something to hide. Burdened by the weight of his deception, Earnest Miller decides he must reveal the details about his past to his beloved wife, Rhoda. The long-kept secret alters everything for the close-knit family, jeopardizing Earnest and Rhoda's relationship, as well as threatening Sylvia's recent engagement to the preacher's grandson. Can the Millers find a way forward through the turmoil to a place of forgiveness and acceptance? Widower Zechariah Stutzman is facing his own barren season, despite the great-grandchildren swirling around him. With his Parkinson’s worsening, he had no choice but to move in with his grandson’s family, though now he feels adrift and useless. When Laura offers to help with Zechariah’s five great-grandchildren after their mother has a difficult childbirth, Zechariah is unsure how he will adjust to the warm but tart demeanor of this woman he has known since grade school. But soon Laura and Zechariah learn they are asking God the same questions about loss and hope. And they begin to wonder if He is providing answers after all. I hope you found a new book or two to read! Which one is on your list? A book blog dedicated to Christian and Historical Fiction reviews, recommendations, and giveaways. Hello! My name is Heidi. I am a book lover who is addicted to caffeine and chocolate. Fan of historical fiction, romance, and Christian fiction. Always ready to cuddle with my furbaby, a book, blanket, and a coffee/tea in hand. Sign up to be updated on all things books! Get Cash Back On Your Book Purchases Below!